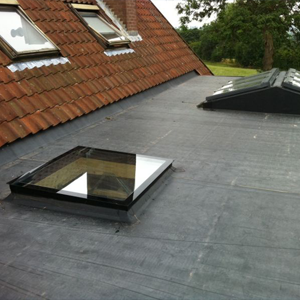 Our flat roofs are fitted with guarantees of either 10 to 30 years. A traditional felt flat roof just isn't built to last, unlike our range of outstanding flat roofs. Our flat roofs are fitted with guarantees of either 10 to 30 years, which are insurance backed for total peace of mind, and with life expectancies of up to 50+ years we expect them to keep you warm and dry for at least twice that long.